Stanley Zbornak: Hey, It's Him... Stan! Syndication Edits: "I am devastated, just devastated!" Golden Girls News (and Media): Better Late Than.... Pregnant! Scheduling: "Come Christmastime, we all seem to make it back home." 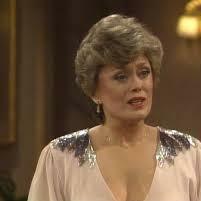 Dorothy Zbornak: Who Are You to Judge Her?! Dreams about The Golden Girls?